If not paragliding or hang-gliding from Porterville to Tulbagh, driving there takes about 30-40 minutes. 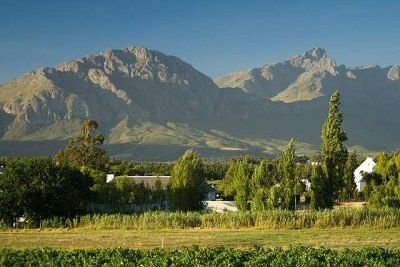 The village of Tulbagh is enclosed on three sides by mountains, forming a scenic valley. The Obiqua Mountains lie to the west, the Winterhoek Mountains to the north and the Witzenberg Mountains to the east while the southern side of the valley is open.